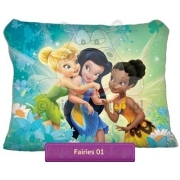 Tinkerbell / Fairies collections children’s bedding, towel, pillowcase and fleece blanket with Tinkerbell characters from Disney movies: Tinker Bell and the Lost Treasure, Secret of the Wings, Tinker Bell and the Great Fairy Rescue, Pixie Hollow Games and newest movie Tinker Bell and the Pirate Fairy. 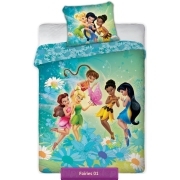 with fairies Periwinkle, Silvermist, Rose, Fawn and Vidia. 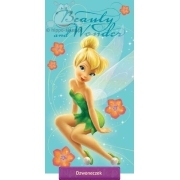 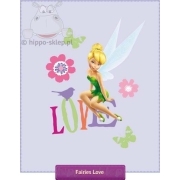 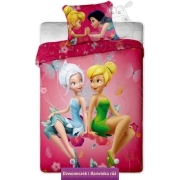 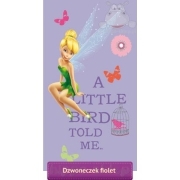 Girls bed linen, children towels, fleece blanket, poncho, pillowcase with a characters of Disney Tinkerbell, periwinkle and Fairies is an excellent idea for a practical gift for a girl. 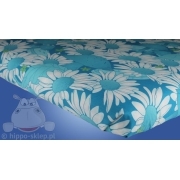 Top quality, 100% cotton, safety certificated according to Oeko-Tex standard 100, various sizes of quilt cover 140x200 cm and 160x200 cm.